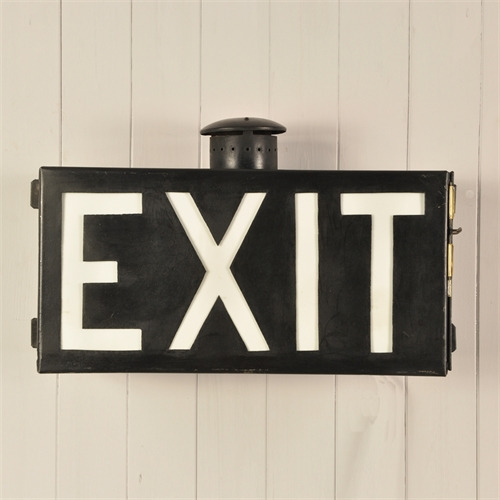 Circa 1920's this illuminated exit sign would originally have had a gas lantern inside it to provide the light - hence the little chimney. It is 100% original with a few scratches here and there - original milk glass. We have replaced the lantern on this vintage sign with an LED tube light. It is designed to be wired into a lighting system but could have a plug if required. 30 cm h x 47 w ( 53.5 w inc brackets ) x 16.5 d.